What are the differences between Christianity and Islam? In today’s culture, the distinctions have been obscured. In this investigative series, Dr. R.C. Sproul and former Muslim Abdul Saleeb demonstrate how Christianity stands in stark contrast to the claims of Islam. 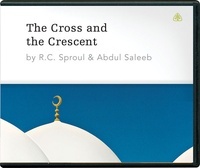 In discussing the differences between Christian and Islamic theology, Dr. Sproul and Saleeb examine views on God, Christ, Scripture, salvation, and man, and they explain why orthodox Christian theology is fundamentally distinct on every point. This has been a great study. Through a study of Islam and learning the things that distinguish it from Christianity, I have a new found perspective (and love) for the Christian faith. That's the glory of the gospel. Thanks!